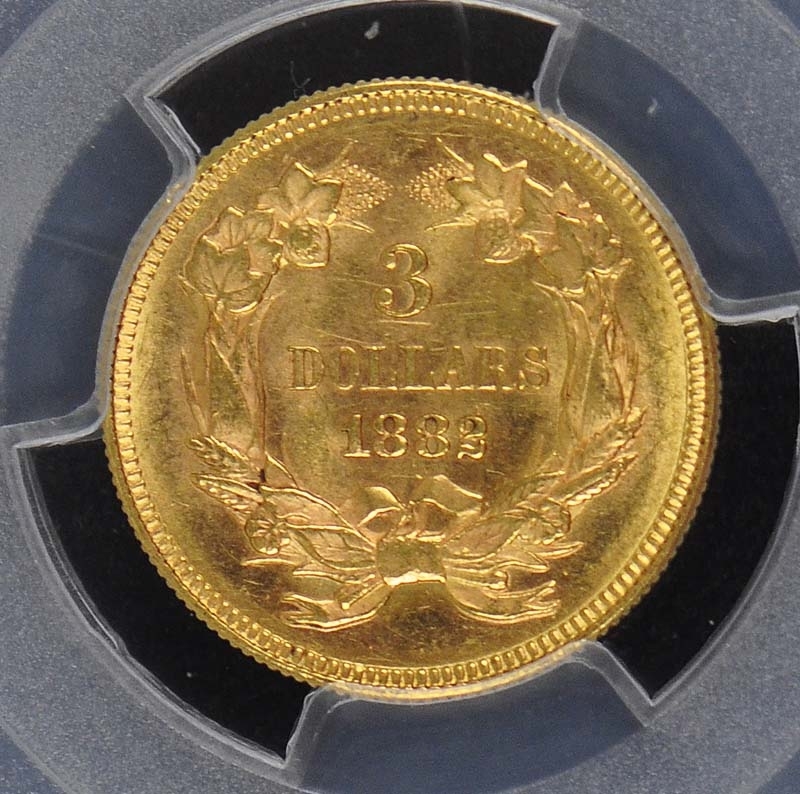 The 1882 $3 gold piece is another example of a low mintage date represented by a relatively high number of survivors, indicating a lot of interest in the date from its inception. 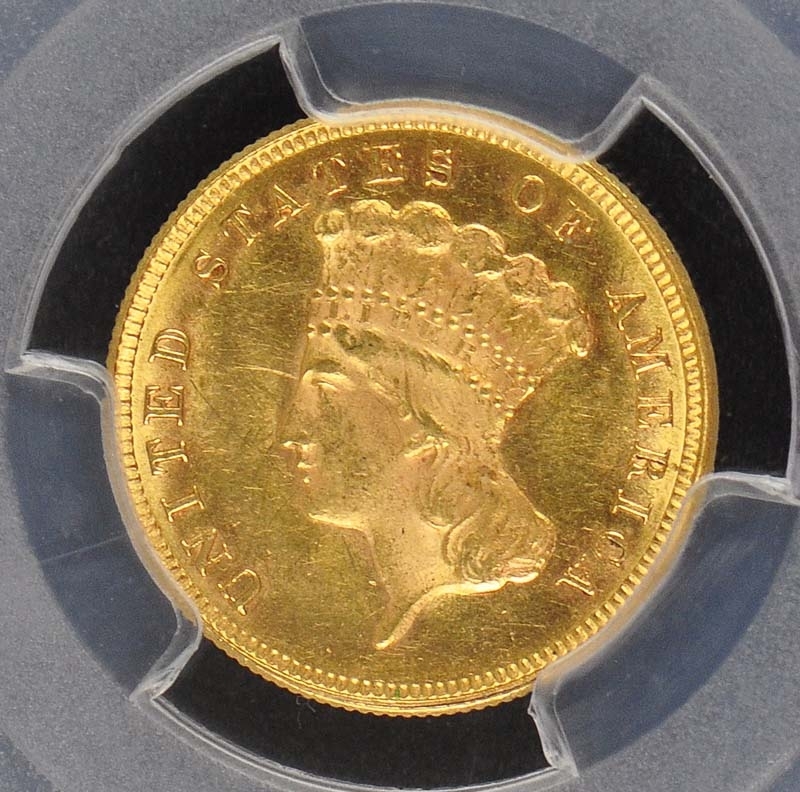 Mint State examples are almost common, as are a cluster of coins at the AU-55 and AU-58 levels, but what would be called “common” in the $3 gold series is rare in any other. The Proof/prooflike debate is made simple here because the circulation strikes show a repunched or defective 2 that is not evident on Proofs. 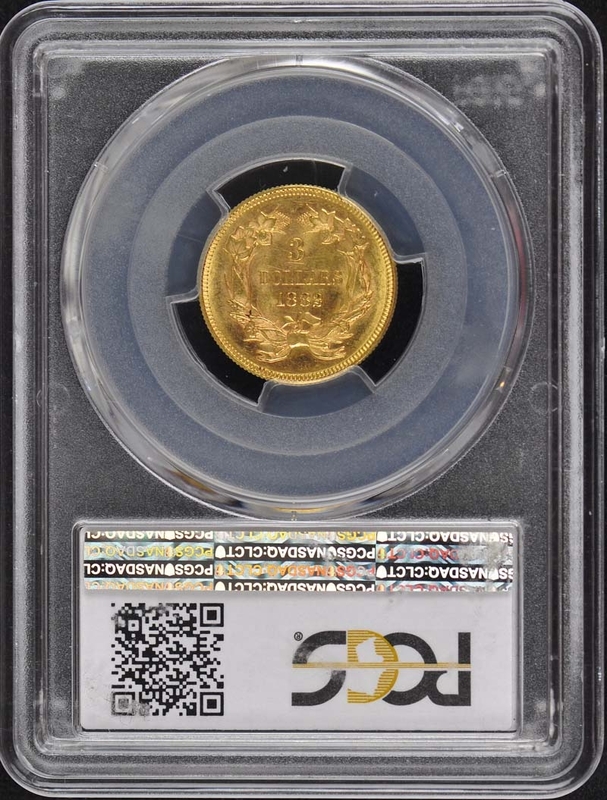 The best certified examples are a pair of PCGS MS-67s (quite possibly the same coin). 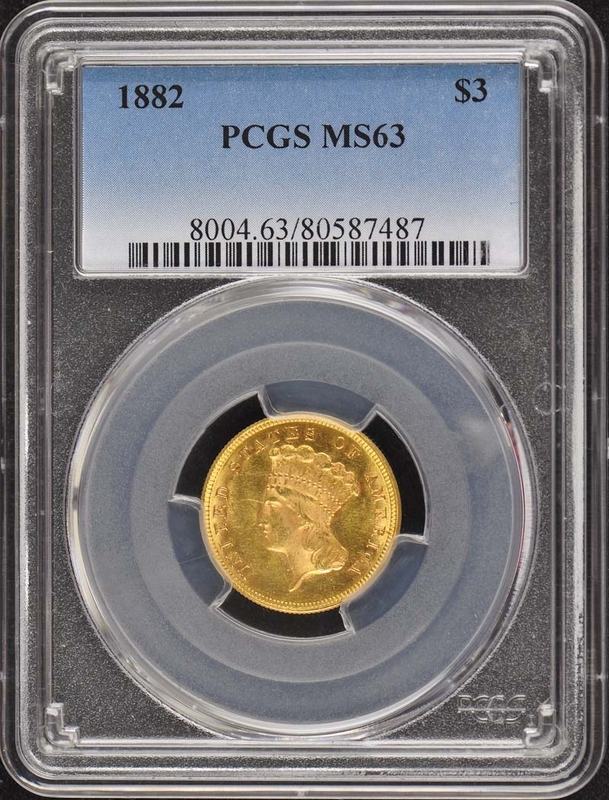 At auction, the highest price realized by an 1882 $3 piece was in 2005, when Richard Jewell’s PCGS MS-67 sold for a whopping $72,450.